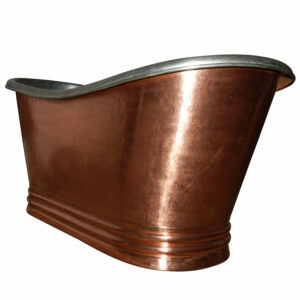 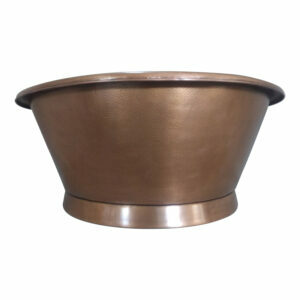 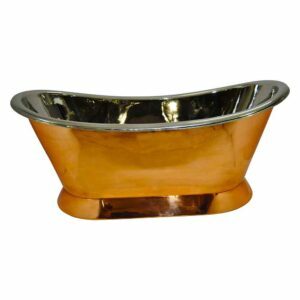 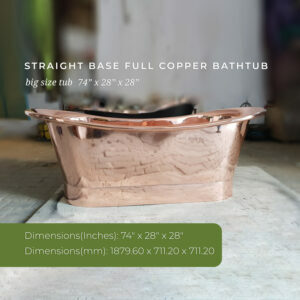 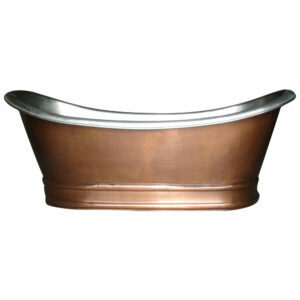 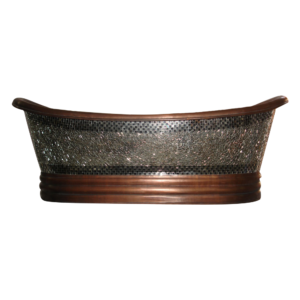 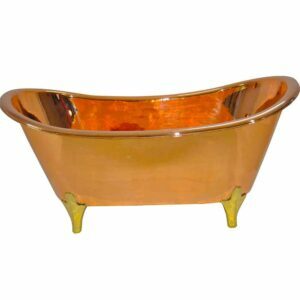 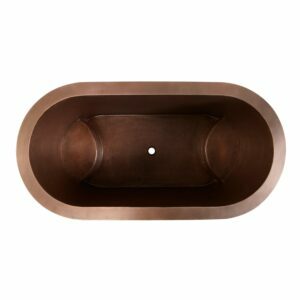 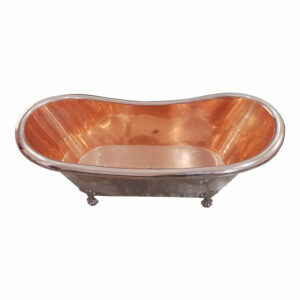 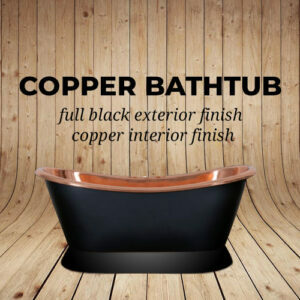 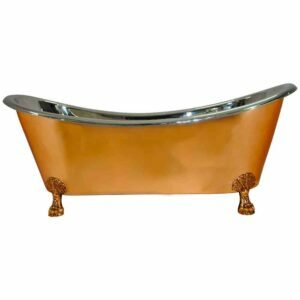 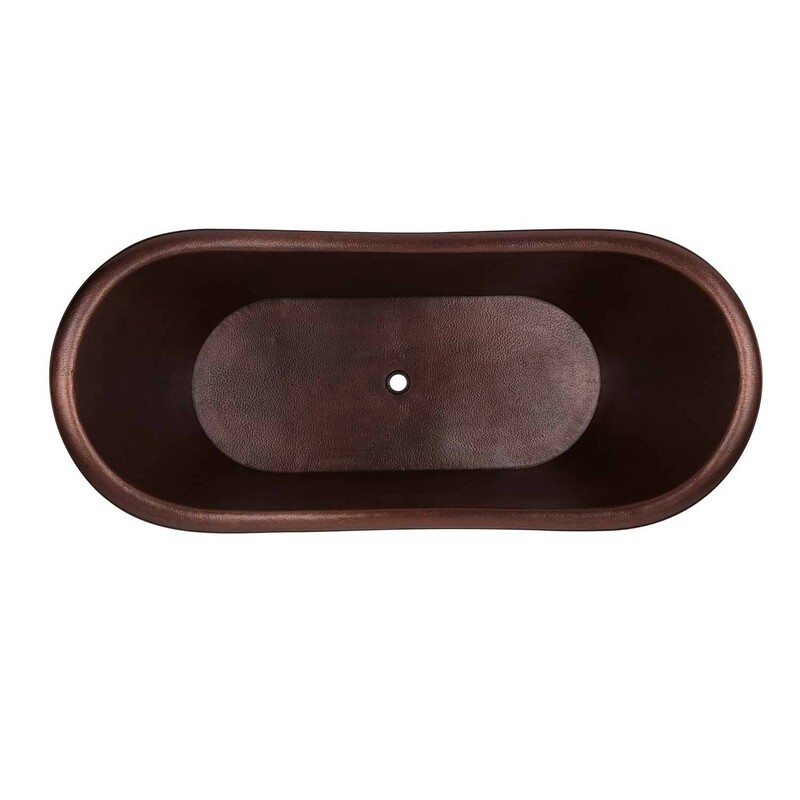 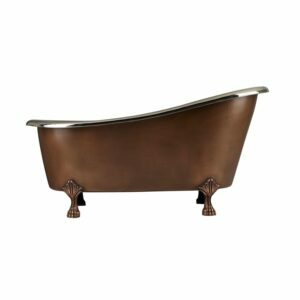 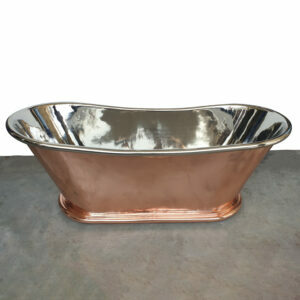 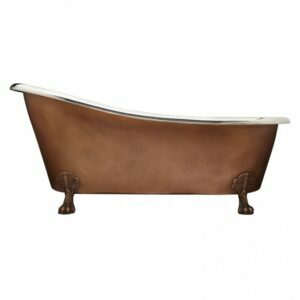 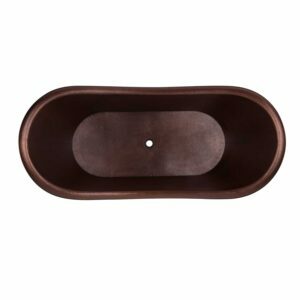 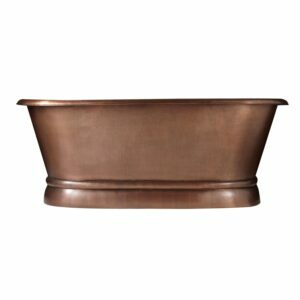 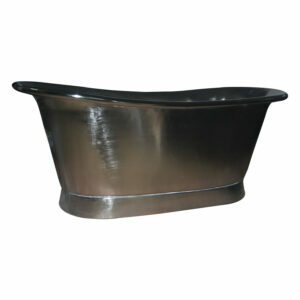 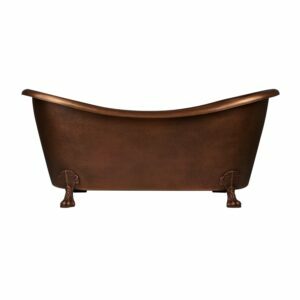 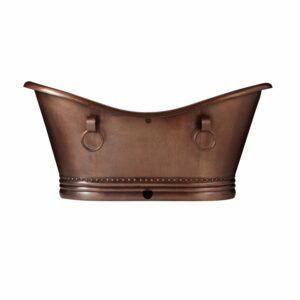 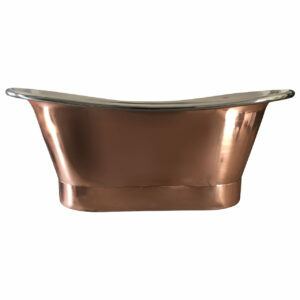 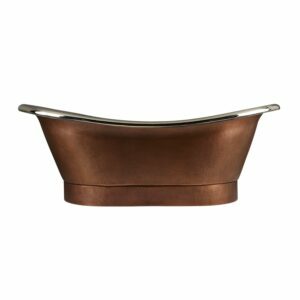 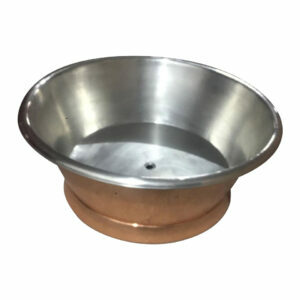 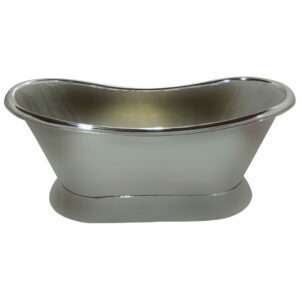 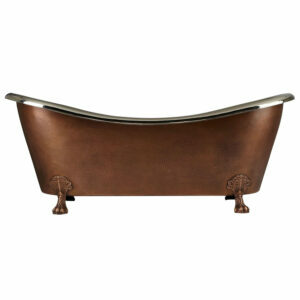 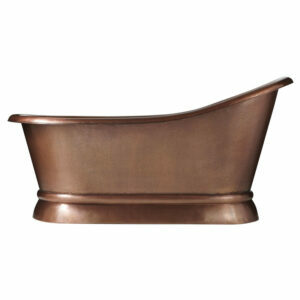 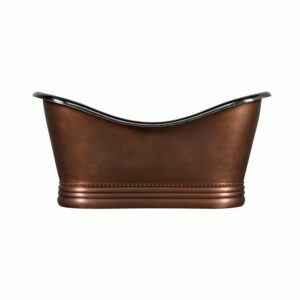 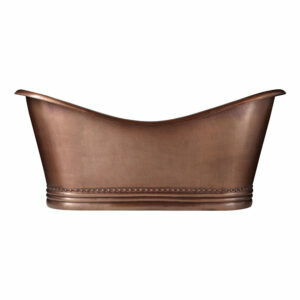 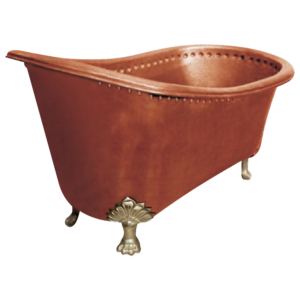 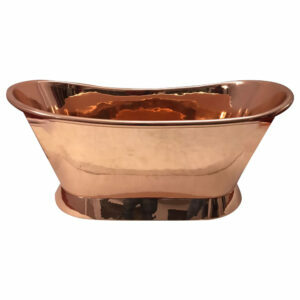 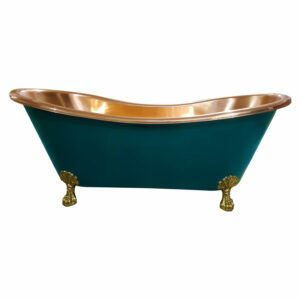 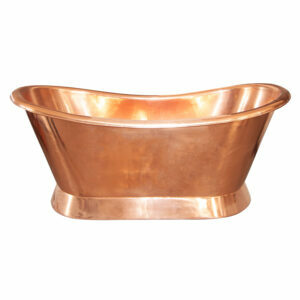 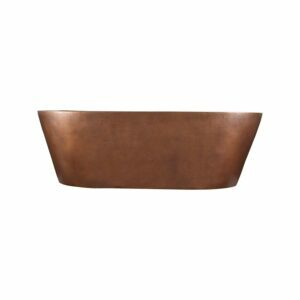 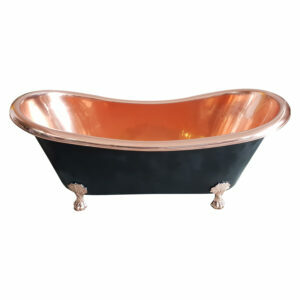 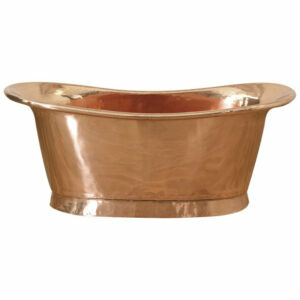 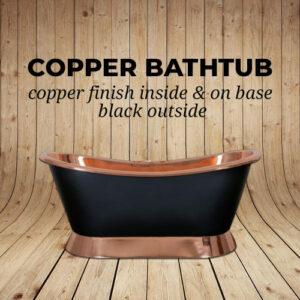 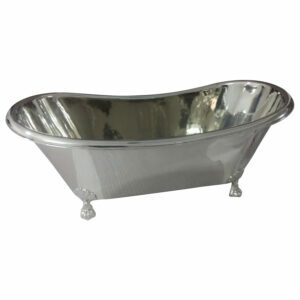 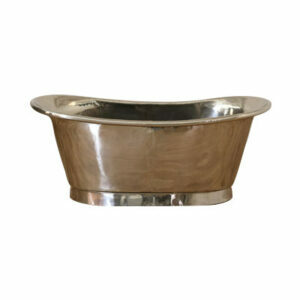 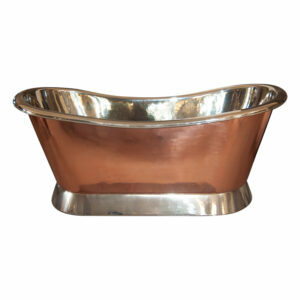 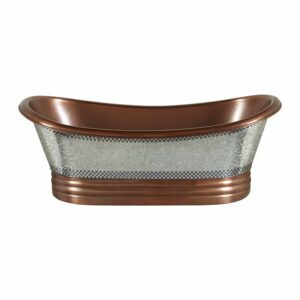 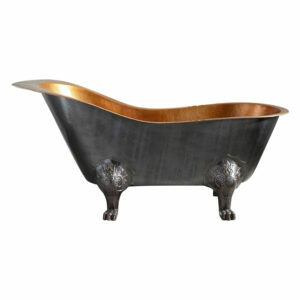 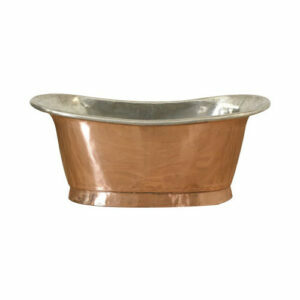 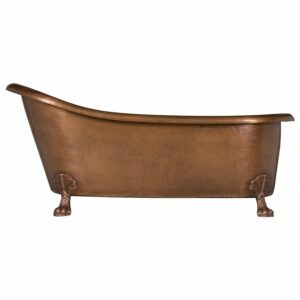 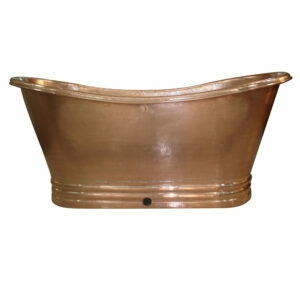 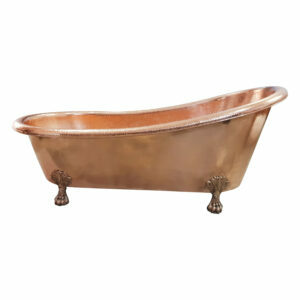 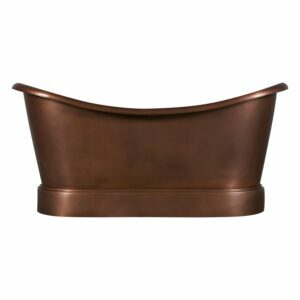 Take a relaxing soak in the 71″ Hammered Dark Copper Double Slipper Tub. 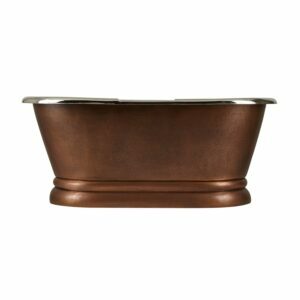 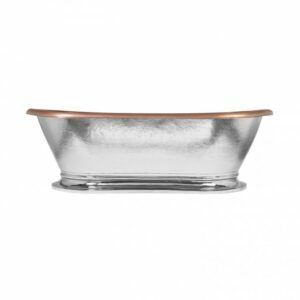 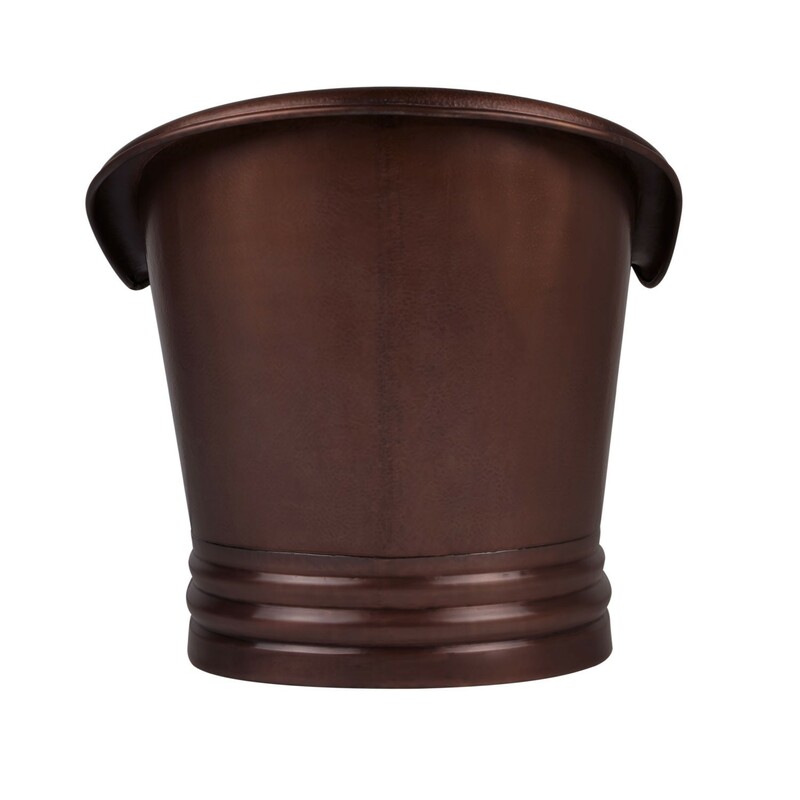 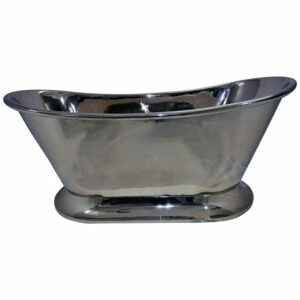 A decorative plinth encases the base of the tub, while the lip contains a continuous rolled rim. 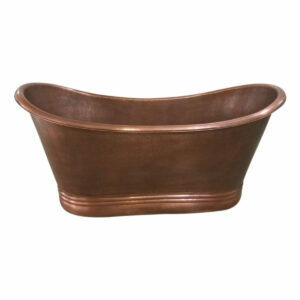 Forged by hand, this tub adds a warm and rustic look to any bathroom. 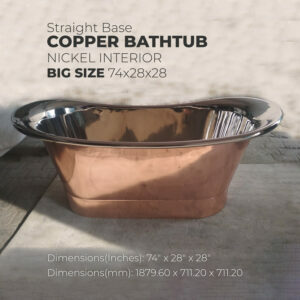 Pair with an elegant freestanding tub faucet to complete the look. 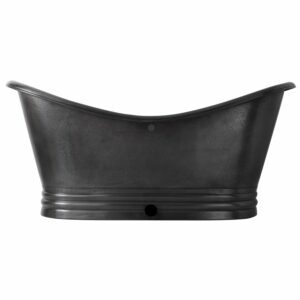 Dimensions: 70-1/2″ L x 33-1/2″ W (front to back) x 33-1/8″ H (± 1″). 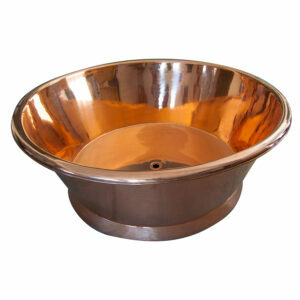 Made of 16-gauge copper. 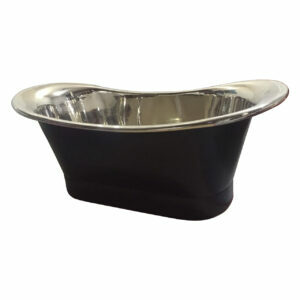 Lacquered finish. 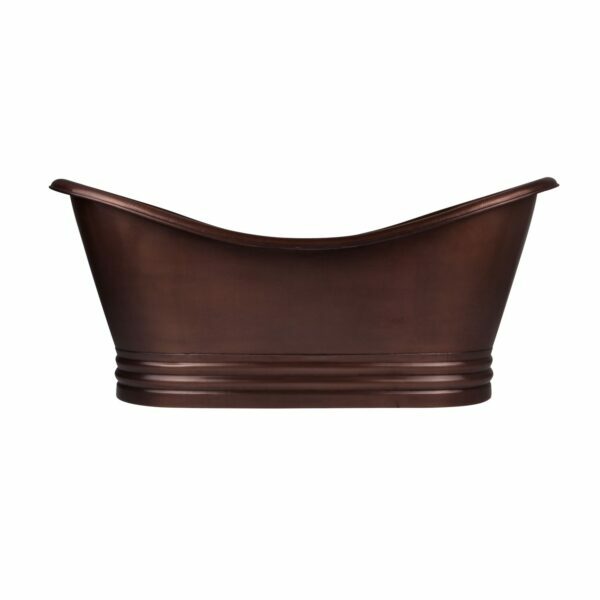 Overflow option: includes Extended Pop-Up Tub Drain, which can be cut to size at installation.